Legal and financial matters are often interlinked which is why, almost twenty years ago, Burnetts invested in developing a specialist Financial Services team. Since then, the Financial Services team has helped clients invest over £50 million, obtained thousands of pounds in tax relief and looked after countless families by arranging financial protection in the event of death, injury and inheritance tax. If you’ve sold a business, been given a lump sum via a divorce settlement or personal injury claim, we can guide you through your financial options with a focus on the factors which are important to you. We offer advice on tax efficient investments, pensions and equity release schemes as well as life assurance and income protection. With support from our Wills, Probate & Trusts team, we specialise in investments for children and Court of Protection funds. Even without a lump sum to invest it’s still worth taking time to explore your financial choices: the range and variety of financial products is now so complex that an independent expert is essential to help you identify your best options. If you’re thinking about your retirement, the new pension freedoms mean it is more important than ever to get advice on what you are able to do with your pension plans. Tony Irving is Burnetts’ Independent Financial Adviser. He has been involved in financial services all his working life having started in a local building society over 35 years ago. He is a member of the Personal Finance Society by Diploma, an organisation committed to the highest professional standards. Tony will work alongside you to advise on the best choices for your circumstances. You can be confident you’ll receive the same unbiased and professional guidance you may have already received from others in our firm. 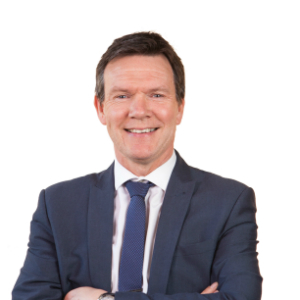 Tony specialises in investment work and inheritance tax planning.